According to the CDC there are some 4.5 million Americans are bitten by dogs each year. 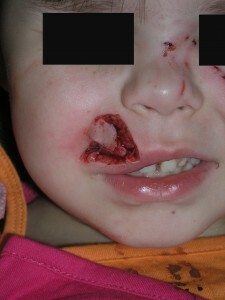 Half of all dog bite victims are children. Do your part to protect yourself and your children. These are devastating injuries that effect a person for the rest of their lives. Even under the best circumstances and treatment, things will never look the same.